The band plays sappy music. It’s the setup of any great award show. But while the following nominees all have their fans and admirers, there will be no awkward, forced smiles when the winner is announced. That’s because with these three amazing free online translators, everyone is a winner. They’re chock-full of features, they offer great translations and they’re difficult to match in quality. They even have their own translation apps so you can take their powerful capabilities with you wherever you go. Here’s all you need to know about the best online translator apps that money can’t buy. Why Is It Important to Use the Best Online Translators? For one thing, accuracy of translations can vary wildly. If you’ve learned anything from your translation exercises, it’s probably that there are multiple ways to translate any word or phrase, and some ways are much better (and more accurate) than others. Translations vary with online translators, too, but usually the higher-quality options have worked out more of the kinks to create better output than other translators. Plus, each online translator has different features, and some have more features than others. Some websites focus more on simple translations, while others have unique features that make them more like a hybrid of a conventional translator and a learning website. For language students, these additional features can offer a firmer grasp on the language, word meaning, pronunciation and more. Additionally, the best online translators can not only translate but help you learn. A good online translator can actually add to your vocabulary. If you use it correctly and often, your favorite free online translator might just help you learn a language for free. Try some “test phrases” to see how accurate the translations are. Try translating phrases you already know between your native language and your target language—the more challenging the grammar and vocabulary, the better. 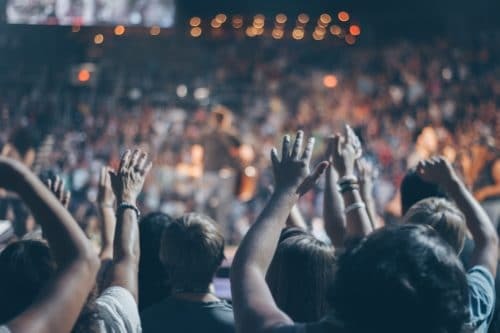 Testing translators with phrases you already know can help give you an idea of how well the translator works with your specific target language. Try translating the text back and forth between languages to make sure the translations make sense. Translating back and forth between languages is a helpful way to ensure the translation means what you want it to mean. For instance, if you’ve translated a phrase into your target language, try plugging that phrase back into the translator to get a clearer idea of what it actually means in English. Sometimes, this can help you catch translation or word choice errors. Play around with all of the translator’s features. Translators have a lot of different features, but many users only use them to translate text they encounter. Because of this, they miss out on some of the best, most useful features available. For instance, if you always just want text translated, you might not even notice that your favorite translator offers terrific audio of words and phrases in your target language that you can use to nail down your pronunciation. Rather than only using an online translator when you need to translate some text or a website, take a few moments to play around with all of its features. You might find that your favorite is one you were completely unaware of. Whenever you realize you don’t know a word, use your favorite translator to look it up. Since these top online translators are handy (you can even download their apps), it’s easy to use a translator whenever you have a spare moment. For instance, when you’re stuck in line at the grocery store, look at the products in your cart and look up any of the foods you can’t name in your target language. If you use the translator regularly, your vocabulary will likely grow exponentially with very little effort. Find real-world examples of words you look up on FluentU. Some translators provide example sentences, which is great for learning in context. But it’s a good idea to take things a step further and ensure that you’re able to recognize and understand a word outside of the translator. One easy way to do this is to put the words you’re learning into a customized multimedia flashcard set on FluentU. FluentU makes personalized language lessons from real-world videos—like movie trailers, music videos, news and inspiring talks—and it will find clips from videos that use the words you type in! Use your translator to check your work. Wrote something in your target language? Get out your favorite translator to check it. You can translate it back to English to be sure the message is what you intended. Google Translate is a big name in the field of online translation, and with good reason. It offers a huge array of features and translates between around 100 languages. Audio pronunciations are available for a nice array of common languages, including Arabic, Chinese, English, French, German, Italian, Japanese, Korean, Portuguese, Russian and Spanish. Plus, the first time you play the audio, it will play it at a conversational rate. Play it a second time and the rate will be slowed down to help you master tricky pronunciations. Remember how we said Google Translate can translate between around 100 languages? Well, that includes the world’s most common languages and even some languages you might not have heard of yet, like Frisian and Sesotho. That’s a lot of language power all in one place! You don’t even have to input the name of the language you want translated. Just enter the text, website or document and Google Translate can figure out what language it is. You can input your text directly, enter a webpage link or upload a document. Google Translate can handle any of these formats, making it a versatile tool. If you’re studying a language that uses a different alphabet, you might not have typing skills in that language yet, which can make things tricky if you want to translate. Luckily, Google Translate has a handwriting feature that allows you to draw in the characters to translate. To access this feature online, just set the text input box to your target language. Then, click the keyboard icon in the bottom left side of the input box to change the input settings. Want another input option? Google Translate offers a visual keyboard you can open to type in words using your target alphabet. The layout even matches standard keyboard layouts, so this can be valuable practice if you want to learn to type in your target language down the road. To do this, just click the keyboard icon on the bottom left side of the text input box. If you’re traveling, you might prefer not to have to type in everything you want translated. 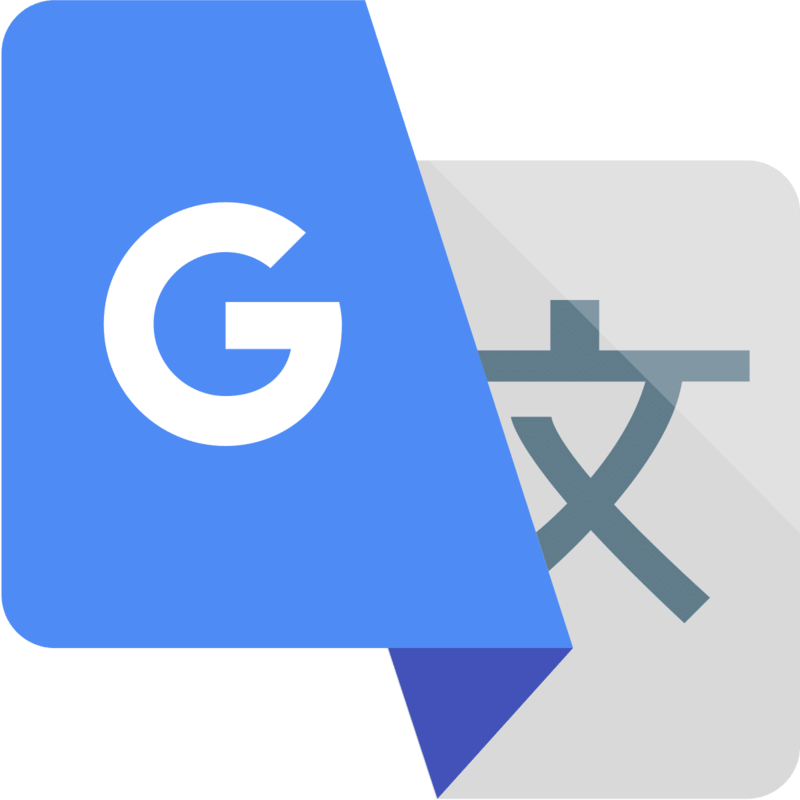 Google Translate offers speech input for common languages, allowing you to quickly speak what you want translated. You might even record someone speaking in your target language to translate to English so that you fully grasp what they’re saying. To use speech input, select your target language and click the microphone in the bottom left side of the input box. If you input a word or common phrase, you won’t just get one translation option, you’ll get several. The main text box will show the translation Google Translate feels is preferred. Below that, you’ll see some other options. The bar to the left of the phrase shows how common each option is. When you input individual words, a definition of the word will appear below the input box. If you need to learn a word in your target language that you still don’t understand in your native language, this can come in handy. You can share through email, Twitter or Google+. You can copy to your clipboard and paste words/phrases wherever you like. You can even “save” words for easy access the next time you use Google Translate. That’s a lot of options that could come in handy for language learners! 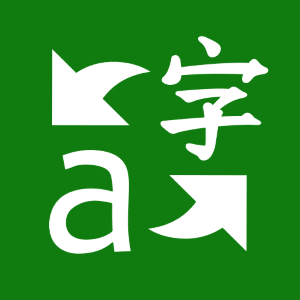 The Google Translate app offers many of the same features as the web version and is available for iOS and Android. While Bing Microsoft Translator doesn’t have as many features as Google Translate, it does have some great offerings and a legion of admiring fans. Some users feel that Bing’s translations may even be better for certain languages. Luckily, there’s no shame in using multiple free online translators, so we’ll let you be the judge of which online translator works best for you. Bing Microsoft Translator can pronounce words and phrases in several common languages, including Arabic, Chinese, English, French, German, Italian, Japanese, Korean, Portuguese, Russian and Spanish. With around 60 different languages offered, Bing Microsoft Translator has the most popular languages for language learners, along with some less expected offerings, like Klingon and Yucatec Maya. Bing Microsoft Translator allows you to copy words and then paste them wherever you like. You can also share on Facebook, Twitter, Pinterest and via email through Bing Microsoft Translator. Want similar features from the convenience of your favorite device? Check out the Microsoft Translator iOS and Android apps. Here’s another convenient translator app to add to your toolbox. 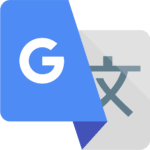 It doesn’t translate for quite as many languages as the translators above, but has some special features that make it worth using for those learning the popular languages it does offer. Reverso offers audio pronunciations for most of its languages. Reverso offers 13 popular languages: Arabic, Chinese, Dutch, English, French, German, Hebrew, Italian, Japanese, Portuguese, Romanian, Russian and Spanish. For most common words and phrases, Reverso will provide you with several possible translations. Variety is the spice of life! 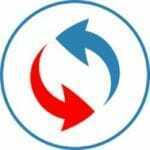 For each possible translation Reverso provides, it also provides an example sentence. This is a language learner’s dream come true for learning how to use new vocabulary in context. If you’re unsure if the text you’re translating from is in good shape, you can run it through Reverso’s spell/grammar check. This can help ensure mistakes in the initial text don’t mess up the translated text. You can copy any translation for easy pasting into other programs. Reverso has an iOS and Android app. Try these three free online translator apps, and the winner will be you!